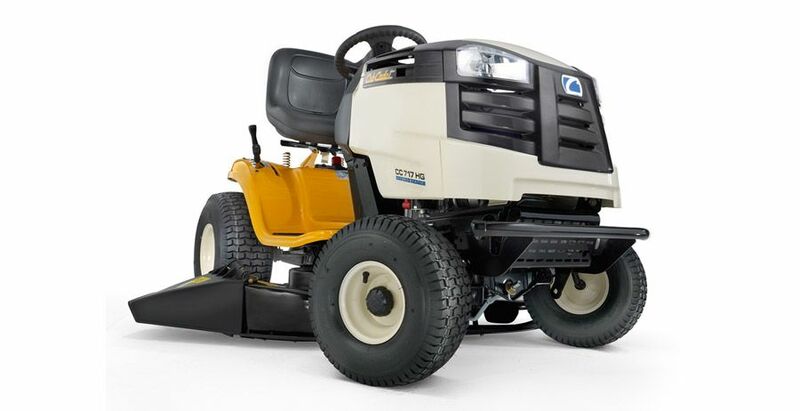 The Cub Cadet CC 717 HG Garden Tractor is a 107cm/42 ", twin bladed side discharge tractor, with a 500cc Briggs & Stratton engine. 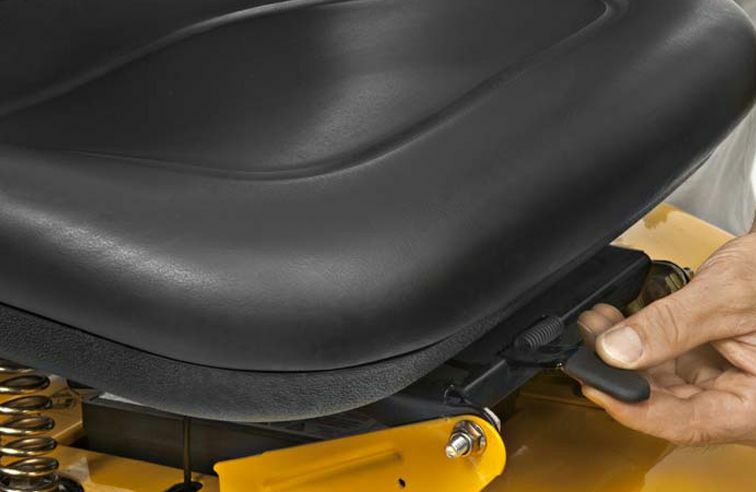 The tractor features a hydrostatic gearbox allowing both the speed control and the forward and reverse all to be operated from one foot pedal. Worth noting is the extremely tight turning circle of 46cm, which is considerably smaller than most tractors in its class. Also important is the step through chassis design, allowing very safe, easy mounting and dismounting. Side discharge garden tractors are ideal for gardeners that have a variety of grass conditions to contend with or require a higher work rate than a collecting garden tractor. 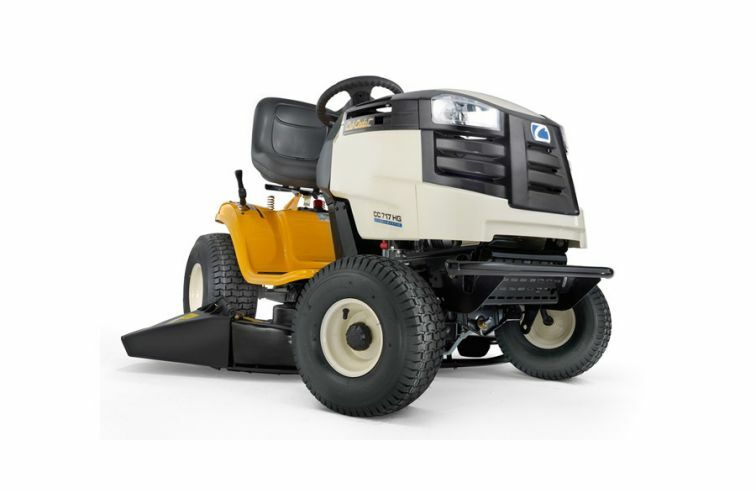 Used as a side discharge it can handle anything up to small paddocks but is also capable `especially when fitted with the mulch plug` of leaving a very tidy finish on a good lawn. The CC717 HG is a side discharge model for gardeners with a garden size of one acre and above, but requiring the performance and refinement that these high quality tractors offer as standard. 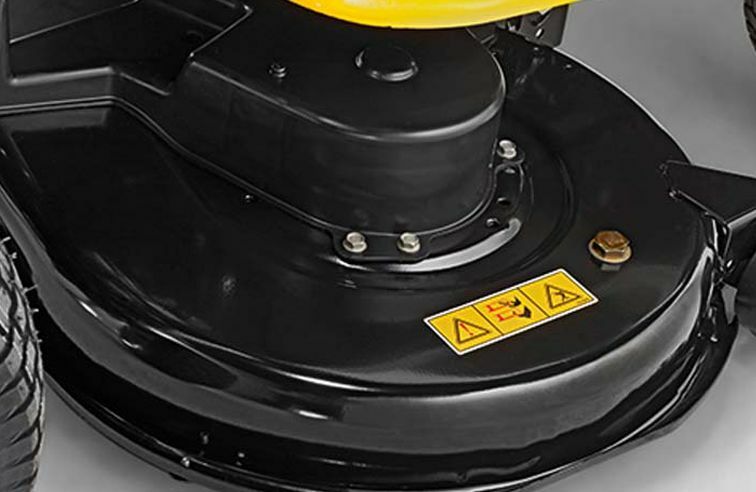 An optional mulch kit and grass catcher is available for use with this garden tractor and it may need optional high lift blades for wet grass.